What better way to kick off our man-help articles than to start with the basics? Some of you guys are past this, and so you can just have study hall. But for you guys who haven't a clue, this one's for you. And we promise we won't rhyme anymore. We'll skip over hair stuff, we covered that once before, so now, on to more pressing topics. I really don't get how it is that you guys can walk out of the door in a mess of wrinkles. It just looks so sloppy! You need to get to know your iron. There are some nice ones out there that are not too expensive, and they are not hard to use! Believe me, I can use one very well, and I'm an electronics idiot. 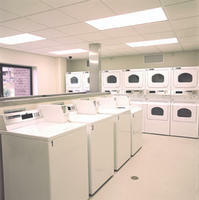 Your other option is to buy wrinkle-resistant fabrics, such as those made by Dockers or L.L. Bean. Either buy the iron or buy the clothes, but please do one of them. Are you a complete pauper, or homeless? If so, you can ignore this advice. Otherwise, buy yourself another damn pair of shoes. I'm sick of seeing you in those tired old sneakers - oh, I'm sorry. Too personal. 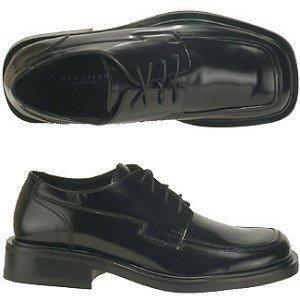 Anyway, you may have a pair you love, and you think they go with everything, but you would increase your hotness quotient tenfold if you go out and buy yourself a nice pair of black oxfords. Just like for women, the right pair of shoes can really jazz up an outfit, so just go do it. The ones at left are nice, and they actually do go with almost anything. Later, when you are no longer a fashion padawan, you can branch out into other kinds of shoes, but don't even think about mandals until you graduate to our advanced class. They require a keen eye. I can appreciate the baggy clothing trend. Skin tight pants are neither attractive nor popular. However, you should not be a) tripping over them, b) pulling them up every 5 minutes, or c) storing anything over 5 lbs. in them. So, bearing those things in mind, buy a pair of pants that fits! And then, pull them up! There should be a select group of people who get to see your underwear, and while we're on the subject, the happy medium between boxers and briefs are boxer briefs, and they are muy caliente. I know you're terrified of ever doing anything that could be construed as gay. Aside from the glaring homophobia, you need to grapple with the idea that hygiene is girly. And then you need to do it. Start with your eyebrows. You don't have to go crazy; in fact, I'd argue that most guys' eyebrows look great the way they are. You just need to get the few stray hairs in between. 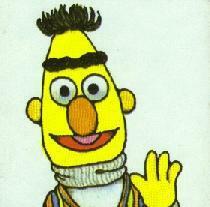 The only man that looks good with a unibrow is Bert, and he's not real. Get tweezers. I know, you think you've got it all figured out. 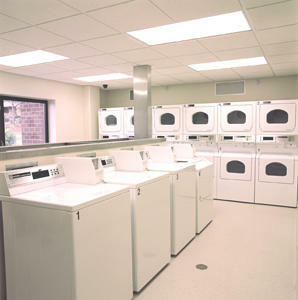 You want to wear your favorite shirt, but it's in the laundry. What do you do? Hang it out the window for five minutes, spray it with Febreeze and you're golden. I'm here on behalf of all women to say that we can still tell from a mile away that your shirt is dirty, and now we think you're dirty, too. We women have special vision that can pick out dirtiness, and the above mentioned trick will not do. You'll have to wash it, so either wait until laundry day or - here's a crazy idea - wash it now.